Politico trotted out a new explanation of why Democrats lost in 2016 despite a record $1.2 billion campaign (spending twice what the opposition spent) and a divided Republican Party. Forget the misogyny excuse. Forget the Comey excuse. Forget the Fake News excuse. And above all, forget the Russian Collusion excuse. The excuse this time is Democrats were divided. Never mind that 89% of Democrats who voted were With Her while 90% of Republicans who voted were for Donald John Trump. Politico reported, "Sen. Brian Schatz is rallying White House hopefuls around a series of proposals in a bid to avoid the ‘toxic debate’ that plagued the party in 2016." That is code for something. Political journalists always do coding, just not the kind that is useful to society. Politico reported, "Schatz, the senior senator from Hawaii, says he is eager to help Democrats avoid 'that whole stupid, unproductive, toxic debate' of 2016, when voters were seemingly forced to choose between Bernie Sanders’ bold-but-vague proposals and Hillary Clinton’s detailed-but-modest legislative prescriptions." Schatz said, "The last presidential election cycle demonstrated to us that voters are interested in policies, but it’s a challenge. They don’t believe that we’re going to do anything about the things that we talk about. And so I’m just trying to put a little meat on the bones so that we have something to do." He's looking for their Build the Wall. That seems to be Medicare for All, however that would bankrupt the federal government if it were not already broke. The party is moving to communism. They call it socialism but it is Cuban socialism. My advice is to be more stealth about the communism like Barack Hussein Obama. I would add, be black like him too. Black voter participation fell. Pew Research reported, "The black voter turnout rate declined for the first time in 20 years in a presidential election, falling to 59.6% in 2016 after reaching a record-high 66.6% in 2012." That 7-point drop was enough votes to have kept Michigan, Pennsylvania, and Wisconsin Democrat. Democrats know this. The need for the black vote is why the race is between Willie Brown's Girlfriend and the Not Gay Spartacus. You go with what works. My money is on her, not him. 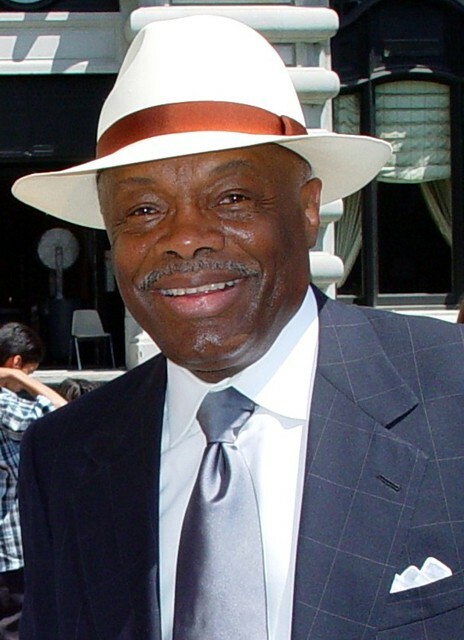 By the way, I like Willie Brown. He went up from shoeshine boy to being the biggest Democrat in the biggest Democrat state. Maybe if they bump the illegal vote up to five million in California next time. I agree with you on liking Willie Brown the man, regardless of what we think of him as a politician. Willie Brown is an old style pol. You can hate everything he stands for, but you know he would be a hell of a lot of fun to talk to at a party. None of the Democrats running for president have anything close to the same joy in meeting people that Willie Brown does. Biden comes closest, closest by far, of any of the potential Dem candidates, but even he doesn't quite measure up. If Schatz thinks they were divided last time, the Demos were WWII compared to the Civil War this time. Candice Owen said a few weeks ago that if the black vote turned just 5% R the Democrats would never win another election. Spartak has no chance. Kamala is most likely going to be the token with 24 as the target. Willie is a very intelligent politician. But he would slip you cyanide if you stood in his way, friendly like. Joe Mama especially like girls 14 and under. He gets special joy from smelling their hair. Who the hell is Brian Schatz? All of a sudden he is the master strategist and leadncat herder for the democrats? He must be bucking for a cabinet position. I keep waiting for all the hand-wringing, breathless articles from the MSM about how far-left and extreme the democrat party has become. That's all we heard about when the TEA party popped up (because chasing what the Founders expected of this country is extreme to the MSM), but throw together a stage full of collectivists/statists promising to wreck the economy and dive further into central planning, and not the first f**king word. Shocked, I know. The democrat party can rally into democrat unity by declaring that their candidate for the Presidency will be decided in their party primary election by the contender candidate who gets the most votes nationwide, aka, not by state by state individually elected "delegates", nor by "super delegates", nor by any other determination but the national totaling of all state democrat primary votes for each democrat contender candidate for the Presidency. The democrats definition of authentic democracy demands that this be so. The unity of the democrats require this to be so. The democrats majority demands that this be so. The democrat voters demand that this be so. So, democrats: Make it so. I also liked Willie Brown's refreshingly honest justification for opposing term limits: "It means I'm gonna losing my f***ing job!"